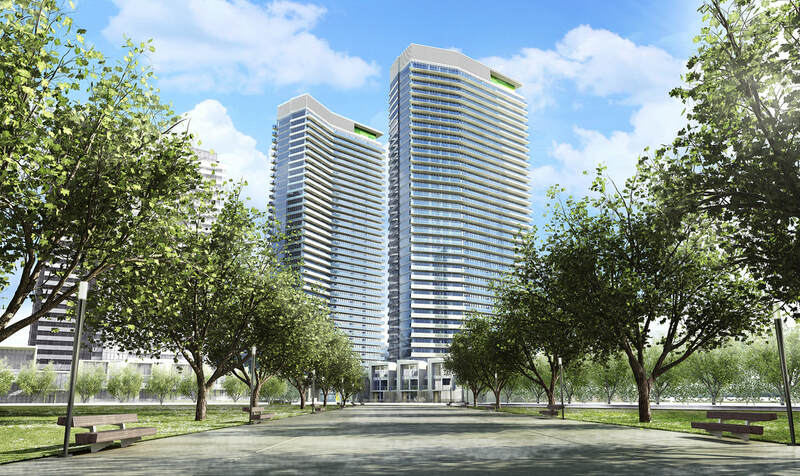 Omega on the Park is presented by Concord Adex at Leslie Street and Sheppard Ave East. It is the newest phase of the Concord Park community. The location is just beside the Canadian Tire and Ikea. There will have shuttle bus to Leslie subway station and GO station. Omega on the Park as a sister building of Opus to the East, is designed by Page + Steele/IBI Group Architects. The 35-storey tower consists of 374 units from the size 448sq ft to over 1,110sq ft. Omega and Oplus have exclusive amenities include a fitness training gym with a children's play area, a pet spa, a lounge, a meeting room, guest suites, a zen courtyard, and a social quadrangle with barbecue and alfresco dining area. Also there is the share facility – MegaClub to be built in the next two adjoining projects. That will allow for a huge range of facilities to be built and keep the cost to a minimum by sharing it all amongst to a large number of owners.